Harley Quinn debuting in the pages of DC’s comics as Arkham’s in-house criminal psychiatrist. Her ill-fated meeting with The Joker soon transformed her from a mild-mannered psychiatrist to a member of the criminally insane, predominantly as Joker’s deranged sidekick/lover. While she may have started off as a supervillain, recent years have seen her transform more into an antihero rather than a deranged maniac. Since her cameo in The Adventures of Batman & Robin for the Super NES, her popularity and capital has skyrocketed, thanks in part to her inclusion to the DC film Suicide Squad and the Injustice series. Harley Quinn has always sported colourful and flashy outfits – an exterior that matches her insane personality perfect. 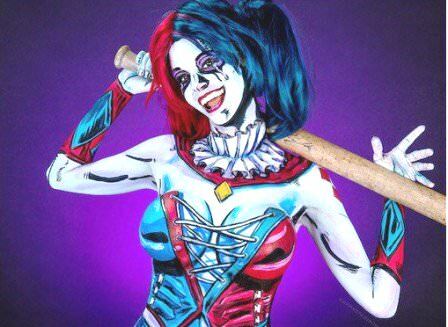 Many cosplayers in recent years have elected for the Margot Robbie-inspired look rather than the character’s original harlequin costume, a movement we could most definitely get behind.